The increasing number of Iranians in the U.S., can prove to be an asset in promoting political agendas which reflect the needs of their community. However, little research has been conducted on the political participation of this group and their ability to influence U.S. policy. With much of the attentions of Iranians still concentrated on affecting the politics of Iran, little effort has been made in organizing around U.S. politics. A recent case study, however, might offer clues to some possible motivations for the political participation of this group in the U.S. The changing ethnic composition of the United States, fueled by an increase in immigration during the 1980&apos;s and 1990&apos;s, has sparked a fierce discussion on legal and illegal immigration and has prompted the introduction of legislation addressing the issue. Although their scope and approach vary, redefining the membership status of immigrants in United States society is a common theme in many of the newly proposed laws. State and federal legislation has been introduced to reduce levels of legal immigration, restrict the admission of certain family members, and restrict the access of undocumented and legal immigrants to such public benefits as Social Security Income, Aid to Families with Dependent Children (AFDC), health care benefits, and public education. Political mobilization is an avenue through which immigrant populations can curb the negative impact of the new laws and reverse the rhetoric of those politicians, who seek to gain popularity by means of immigrant bashing. The growing number of foreign born citizens in the United States is projected to reach 29.3 million or 10.4% of the population by the year 2000. Political mobilization of this group, as well as the second and subsequent generations (the children of immigrants and their children), who tend to be more adept at the language, and better integrated into the social and political culture of the United States, can indeed prove to be a successful tool for combating anti-immigrant policies. Because immigrants who have not naturalized have a limited capacity to influence the political process, naturalization and the subsequent use of electoral options, by far, remain the best vehicle for affecting the political system. However, attaining naturalization is not always an easy process, and for many new Americans, naturalization does not always transfer into political participation. Immigrants naturalize for a variety of reasons, such as sponsoring other family members, greater ease of travel abroad, fear of discrimination, and fear of the negative impact of legislation targeting non-citizens. Naturalization and the level of political participation among immigrants is generally the result of adaptation to a host society and depends on several factors. In general, the younger the age of the immigrant at the time of migration, the more likely they are to adapt and assimilate to the host society. Variances in naturalization among immigrant groups can be attributed to several factors. Naturalization rates tend to be highest for groups who have limited means, due to political, geographic, and economic reasons to reverse their migration. Also, length of residence, language fluency, and high levels of education are additional factors directly linked to increased levels of naturalization and political participation for immigrants. Political participation for many immigrants who have adapted to the culture and society of their host country can serve as a reward of citizenship which affirms their membership status. Nevertheless, many factors impede the rate of political participation for others. Lack of identification with the culture and politics of the host society and low assimilation levels are key reasons why some immigrants do not participate in the political process of their host society. Additionally, some of the main reasons why mainstream Americans do not participate in the political and electoral process of government can also be true of immigrant populations. These include: voter apathy, lack of understanding of the issues, the inability to access the political system, and feelings of isolation from the political system. For many new immigrants involvement in the politics of the host society is concentrated on affecting policies specific to their country of origin. This trend is possibly greatest for groups escaping less than ideal political situations and most common in the behaviors of the first generation immigrants. Reactionary political agendas are yet another factor motivating immigrants to participate in the politics of their host country. In fact, reactionary politics played a great role in the development of ethnic identities for America&apos;s early immigrants and was an essential element in the process of integrating them into the American political system. Political integration of ethnic groups, especially in the case of second and subsequent generations of immigrants, can lead to participation in the mainstream political sphere. The political behavior of the more integrated immigrant does not necessarily mean that they will not exhibit reactive political behavior or will not focus on external politics relating to their country of origin. However, the more politically integrated immigrants will in all probability act as individuals in a political society who are concerned with more mainstream issues. For example, a second or third generation immigrant may be more apt to organize around mainstream issues, such as taxes, than a first generation immigrant whose politics may be reactionary or focused on affecting policies toward his or her country of origin. Ethnic identification is a key element of any successful strategy designed to push forth the political objectives of a certain group of immigrants. Ethnic identification, if successfully designed and manipulated, can lend itself to the formation of advocacy groups, mass mobilization of ethnics (i.e., in civil rights&apos; struggles), bloc voting by ethnics, election of ethnic representatives to state, local and national government offices, and eventual integration with the mainstream political system. To assure representation and success at influencing the political sphere, second and subsequent generations of immigrants (as well as first generation immigrants) need to create a balance between acculturation and ethnic identification. The survey of Political Participation of Iranians in the United States was developed to assess the level of involvement of Iranians in U.S. politics and their potential for organizing on a political level. Questions were asked regarding education level, citizenship status, voting behavior, political identification/affiliation, ethnic identification, and possible issues around which respondents would be willing to organize. Because of the length of their stay in the U.S. and high education levels, one can fairly assume that respondents to this survey represent a sample of the wave of Iranian immigrants and refugees who came to the U.S. shortly prior to or following the 1979 Revolution of Iran. This is significant because if education levels and length of stay are considered as factors contributing to the likelihood of political participation, the wave of Iranians who migrated to the U.S. at approximately the same time as the Iranian revolution are possibly the most likely to participate in the U.S. political system. Nevertheless, generalizations based on survey responses about the larger Iranian community in the U.S. should remain limited, because the distribution of the survey was not representative of the Iranian community in the U.S. with respect to geography, length of residence, and income and education levels. Fifty individuals responded to the survey of Political Participation of Iranians in the United States. Twenty eight were female and twenty two were male. The ages of the respondents ranged from 19 to 71 years old. Additionally, respondents had been in the U.S. anywhere from three to 32 years. Education levels for these respondents were as follows: One respondent had attained a high school degree, 25 were working toward or had already attained bachelors degrees (eight of these respondents were working toward a masters level degree), and 24 respondents had achieved post graduate degrees ranging from masters to PhDs and MDs. Respondents were asked to identify their legal status. Of the 50 respondents, 39 were U.S. citizens (either by virtue of birth or through naturalization). Eleven respondents were in the U.S. as permanent residents or with other visas. Nine of 11 non-citizens indicated that they planned to become U.S. citizens, and one indicated an uncertainty around this issue. Of the nine who plan to become citizens, seven individuals intend to participate in political activity in the following fashion: seven will vote, one will lobby, and one will engage in fundraising. Reasons for choosing not to participate in political activity ranged. One respondent indicated that the only reason she planned to become a U.S. citizen was to make life easier for herself, to avoid discrimination, and to help family members come to the United States. Seven of the 39 citizens do not participate in U.S. politics. Reasons for not voting included: lack of identification with American society, lack of knowledge on the issues, not being registered, feelings of apathy toward the political system and feeling that they could not make a difference. Thirty two respondents, however, indicated that they participate in U.S. politics. Ten of these individuals are involved in campaigning, seven in advocacy, four in lobbying, and three in fundraising. Two individuals indicated that they plan to run for office. Additionally, 12 individuals indicated that they participate in local elections, 13 in state, and 21 in national. Respondents were asked to identify their ethnicity. They were given the option of Iranian, Iranian-American, American and Other. 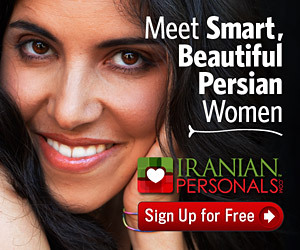 Thirty-seven individuals identified themselves as Iranian-American; 12 individuals identified themselves as Iranian; and one identified herself as other. The respondents who identified themselves as Iranian included: three citizens, four permanent residents, and four with current visas. The citizens had been in the U.S. 12, 13 and 17 years. Two voted, one did not, and all were willing to organize around foreign policy issues relating to Iran. The permanent residents had been in the U.S. for 17, 15, four and a half and three years. All indicated that they planned to become citizens and participate in political activity. Of these individuals, two indicated a willingness to organize around foreign policy issues relating to Iran. The two individuals who had lived in the U.S. for 17 and 15 years were unwilling to organize around foreign policy issues relating to Iran. The individuals holding current visas had been in the U.S. for 11, nine, seven, and seven years. Three respondents plan to become citizens and one, who has been in the U.S. for seven years, is unsure about what he will do. All, except for the individual who has been in the U.S. for eleven years, are planning to participate in politics and are willing to organize around foreign policy issues relating to Iran. Of the 37 respondents who identified themselves as Iranian-American, 19 were willing to organize around foreign policy issues relating to Iran. Additionally, levels of identification as Iranian ethnics ranged among this group. The individual who identified herself as other (French-American) was not willing to organize around foreign policy issues relating to Iran. All except for two individuals felt that their political participation in the U.S. did not affect their identity or was unrelated to their identity as Iranians. Both respondents who identified conflict between political involvement in the U.S. and their Iranian identity participated in political activities in the U.S. In all, this group has assimilated well to the social and political culture of the U.S. High levels of education, length of stay in the U.S. (15.9 years median length of stay and 17 years for the mode), and little possibility of a return home have contributed to the assimilation process. Additionally, irreversibility of migration is, in all probability, the best explanation for the high rate of political participation among this group. In all, only three individuals considered returning back to live in Iran permanently. One individual admitted taking part in Iranian elections, one was interested in greater involvement in Iran&apos;s political system, and the third individual planned to return to contribute to the social and structural development of Iran. One other individual had not decided if he would return home or stay in the U.S., but admitted that he would take part in the politics of any country he chose to be a citizen of. All other respondents did not foresee returning to Iran. A strong ethnic identity on the part of this group may lend itself to effective political mobilization. In all, 49 respondents identified with being either Iranian or Iranian American. However, only 27 respondents were willing to organize politically on foreign policy issues relating to Iran. These individuals may be interested in foreign policy issues relating to Iran for several reasons. First, their immigrant nature as exiles may contribute to this type of interest; second, they may be interested in returning to Iran if the situation changes; and third, they may not have completed the integration process into the American political system yet and are still interested in external political factors, especially those related to Iran. Nevertheless, a large number of respondents (23) did not indicate a willingness to organize around foreign policy issues relating to Iran. Again, this trend may be explained by the unlikelihood of return to Iran on the part of respondents, feelings of helplessness when it comes to affecting Iran&apos;s political climate, the long length of stay in the U.S., and integration into the U.S. political system. However, this pattern of behavior should not be used as an indication for the larger Iranian population. Immigrants who are older, have not been in the U.S. for a long time, those who can easily return back to Iran for visits or to stay, and those who have not assimilated (due to time, language or other personal issues) to the U.S. social and political system will quite possibly exhibit a tendency toward greater involvement in U.S. politics relating to Iran. On the issue of immigrant and refugee rights only 19 respondents were willing to organize politically. Although some respondents felt that the Iranian community was threatened by anti-immigration polices, most respondents felt that the threat was not a direct one. One respondent writes: “[hostile immigration policy does not affect Iranians] as much as the Latin American community.” Perhaps if immigration policies begin to directly affect legal Iranian immigrants this group, as well as the larger Iranian community in the U.S., will begin to exhibit an increased level of mobilization on this issue. Thirty-two individuals indicated a willingness to politically organize on education issues, thirty on health care issues and twenty seven on women&apos;s rights issues. The high probability of organizing around mainstream U.S. social issues is a good indicator of the integration of this group into the U.S. political process. The willingness of two individuals to run for political office is yet another indication of the integration of survey respondents into the U.S. political system. This integration leads to a better knowledge of the political process and an increased ability to manipulate that process in favor of the interests of one&apos;s own ethnic group. Political integration, familiarity with the political structure of the U.S., political representation (i.e., on the local, state and national levels) and a strong ethnic group identity can all be factors which allow this group to affect U.S. politics favorably. If the political behaviors exhibited by survey respondents are any indication of the behaviors of Iranian who migrated to the U.S. around the time of the Iranian Revolution, one can assume that the probability of political organization and mobilization, especially with respect to ethnic resistance, is relatively high for these Iranians. Additionally, integration into the U.S. political system and high rates of political participation will facilitate greater opportunities for the political participation and involvement of new Iranians as they migrate to the U.S. and learn how to survive in and adapt to their new environment from an already established ethnic community. The main avenue for political mobilization and involvement of immigrants is through naturalization. Although, many barriers do exist to naturalization, through innovative leadership, these barriers can be overcome. Voter education, language classes for non-citizens, and assistance in the naturalization process are all avenues through which immigrants can become members of the political community in the U.S. Unless there exists a cohesive ethnic identity to define common issues and political goals, naturalization and electoral participation will not transfer into political effectiveness. The maintenance of ethnic identities throughout second and third generation immigrants is especially important. Second, third and subsequent generations of immigrants do not face the same barriers first generation immigrants do and can more effectively influence the U.S. political system to their own advantage. Nevertheless, one group of immigrants despite a cohesive ethnic identity and integrated political goals and behaviors, can do little to combat the growing anti-immigrant sentiments among American law makers. With the growing number of foreign born citizens in the United States, collaboration between immigrant groups in combating anti-immigrant legislation can prove to be an effective tool. The need to reflect community and ethnic needs in broader terms and the need for collaboration on issues facing immigrant communities has given rise to new and encompassing ethnicities such as Asians and Hispanics. Despite the difficulties of superimposing identities upon groups who may be different in nationality, language, and culture, the political gains are inevitable. Because of the imposition of these supernational identities Hispanic-Americans and Asian-Americans are well on their way to becoming the new minority in the U.S. Perhaps, continued attacks on immigrant populations will give rise to a new ethnic immigrant identity, with a distinct political objective which will shape the American society and political process in ways which are more favorable and friendly to the realities of immigrant life. Sussan Tahmasebi has over 20 years of experience working to strengthen civil society and advocate for women’s rights, peace and security, in Iran, the MENA/Asia region, and internationally.